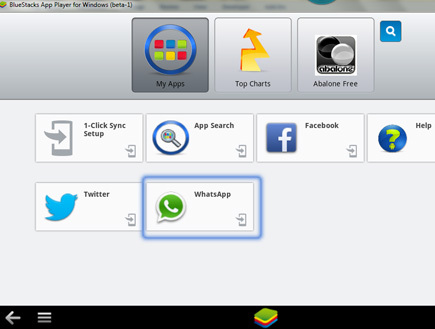 How to use WhatsApp on PC and Laptop using Bluestacks? Do your friends tease you for not having android phones? Don’t need to worry now because WhatsApp has been launched now for the computer users. It is the best Android application to be connected socially amongst your friends. WhatsApp is the most prominent messenger and is slowly becoming the alternate of paid text messaging service. You don’t have to recharge balance or any sms pack to send sms. It requires only internet connection in your phone or PC. It creates a connection through phone numbers from your saved contacts list. It easily attaches with your friends, relatives or business colleague. The best thing about this is that you can send text, images and videos to each other’s internationally without paying any charges. It’s available on most of the operating systems like Android, Apple, BB and more. As we have been using it over the years, the company founders thought to make it for computer, considering the requirements of people who don’t have smart phones. Now It can be used on Computer, laptop and Mac OS also. How to install WhatsApp on PC and then use on a Computer? It’s as simple as cutting cookies really, it takes hardly 15 minutes to do so. Here are a few easy steps to run it on PC but before proceeding further, you need to download this application from the website. 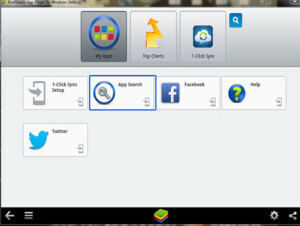 There are two Android Emulator www.youwave.com and www.bluestacks.com which provide android applications for PCs. I downloaded it from Bluestacks. 1. 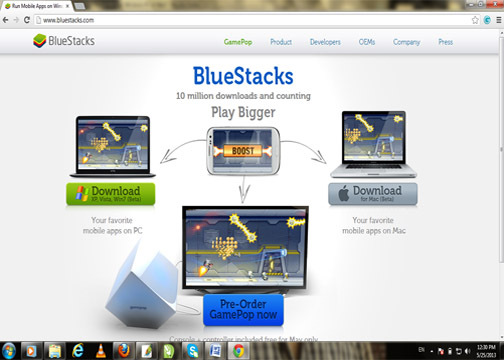 Open www.bluestacks.com in your browser and You will see following interface. 2. Just click on download (xp,win7,vista) and the BlueStacks application will be started to download. 3. After downloading, click on app for installation procedure and it takes 5 to 10 minutes (Depends on your PC configuration and Internet speed) for installation on the PC. 4. After the installation, now click on start BlueStacks in all programs to start application and go to my apps and you will see their app search button, click on it. 5. 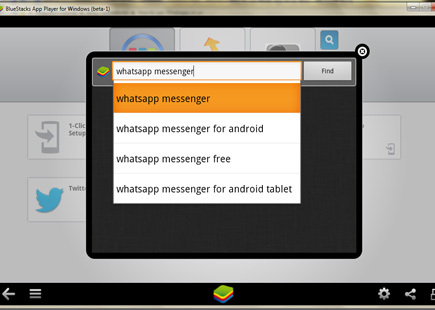 Now you will see search window and write “WhatsApp messenger” and then click on the find button. 6. 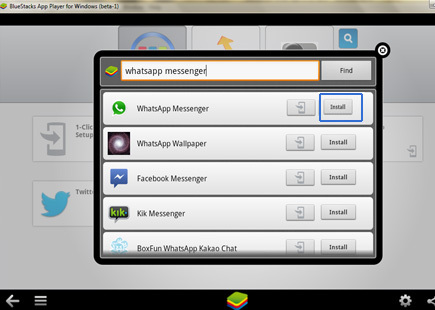 The window will show you WhatsApp messenger, now click on the install button. 7. After installation, WhatsApp will be seen in my apps. 8. Now click on WhatsApp and you will be asked to write your mobile number with country code and click on ok. Now, it will ask you to verify your mobile number by sending a code via SMS. 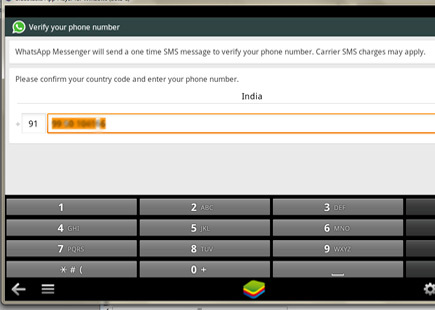 In a few seconds, you will receive a 3 or 6 digit WhatsApp code that you have to type in shown check box. 9. Now the account will be verified and ask to put your name and profile photo. Finally WhatsApp installation procedure is finished and you can add your contacts. How to add contacts to WhatsApp? 1. There is a 2nd button menu at the bottom part of the app’s window. 2. Click on the menu and you’ll see few options available now click on 4th icon contact. 3. Now again go to the menu at the bottom part of the window and click on 2nd icon new contact. 4. Now fill up your new contact details and click on finish.